Turns your screen into a beautiful aquarium. Is a nice program specially created for the fans of the Gateway website. Most realistic aquarium screensaver for Windows. Goldfish Aquarium v.2 .0 is a top-quality screensaver for marine life lovers. Configures Windows theme signature requirements. Replaces a standard system menu. Bring back the Windows 7 style start menu on Windows 8 and 10. Creates the unique design for custom mouse cursors. Create patterns out of your Windows desktop icons. 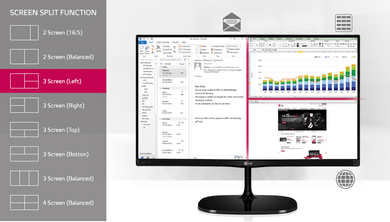 Manage multiple monitors from your Windows desktop. Real Desktop gives your ordinary desktop new life and turns it into a real desk. It improves Windows user interface when working with several monitors. Use a video as a wallpaper on your PC. Adds animation effects to your desktop background. Add a water 3D animated effect to your desktop with this free program. It helps you quickly change the icons of your folders. Modifies your system files to support third-party themes integration. Windows-based utility for colorizing folders on your PC. Customize the appearance of your system using multiple styles. A program that allows users to change nearly all of their Windows icons. Cursor FX is a program which customizes the appearance of your cursor. A tool for organizing your desktop items with minimum effort. Facebook Icon will place an Internet Shortcut on Your Desktop. With iColorFolder, customize the color of each Windows XP folder. Allows you to do a lot of interesting customizations. Small tool which makes your desktop more customizable. It can be a solution for users who are fond of the Start menu. Stardock MyColors applies special effects and gives your Windows a new look. It shows the current temperature of your outside room's weather.